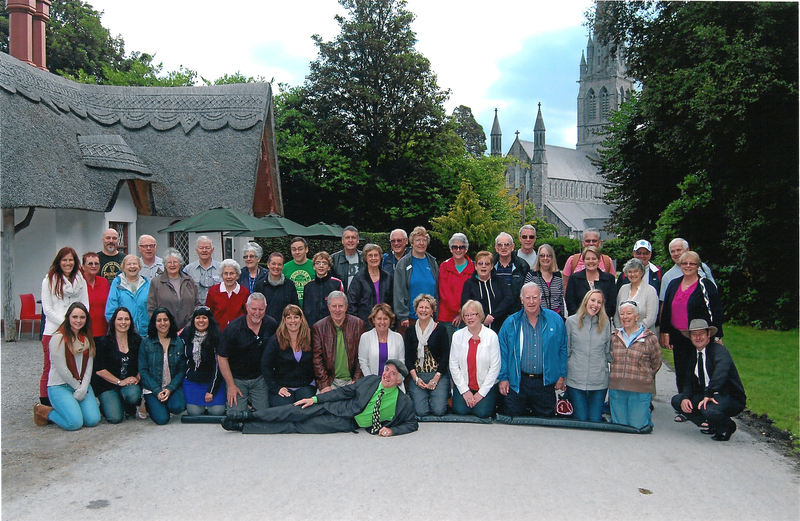 How did a couple of dyed-in-the-wool cruisers come by this bus tour of Ireland? Marjorie had booked a "Spanish Mediterranean" cruise for the end of August (about a year before the sailing) out of Southampton. Being as it is so expensive for us to fly to Europe, and the time zone change is so dramatic, we always try to extend Europe trips to about 4 weeks in order to make the pain of flying more bearable. While looking for a suitable cruise to B2B with the Spain cruise, she came upon a list of Insight Vacations TA priced tours, one of which dovetailed with the beginning of the cruise. After some thought, we decided that a bus tour would be a good experience and we had always wanted to see more of Ireland. Besides, who can pass up a tour at travel agent pricing?!! So, we booked the Ireland trip and then planned the logistics of getting there (and back). We ended up booking Air Canada for a return flight to London (Heathrow), and British Airways to connect us from Heathrow to Dublin. I was surprised that BA beat the prices for both Ryan Air and Aer Lingus, and had better times. Because we like to "settle in" before joining a tour or cruise, we booked 2 nights in Dublin before the tour (at The Marker), and 1 night in Southampton before the cruise (at the quayside Premier Inn). This trip was actually two separate itineraries, so I have created two separate diaries - one for the Ireland tour and one for the Spanish cruise. This is the Ireland diary. 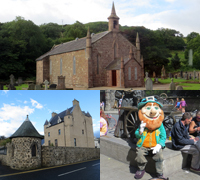 Our trip to Ireland was filled with towns and villages, castles and stately homes, and many other adventures. We returned with hundreds of fond memories and over 1,000 photos. I have broken this diary into 2 pages so that it is not too unwieldly and doesn't take half a day to load! Just click on the part that you wish to view. I also have an annotated "who's who" version of the group photo. I had some general observations about Ireland and the tour in general. Because they don't relate to any particluar part of the tour, I will summarize them here. One thing that really contributed to our enjoyment of the tour was Patrick, the tour guide. He was very knowledgeable about Ireland as a whole, had a wonderful voice to listen to, and read to us some wonderful stories along the way. Over the years having done some land tours and 50 plus cruises, we have encountered many, many guides, and he is certainly the best guide we have had the pleasure to travel with! And, we had him for 12 days! The speed limits in Ireland are rather meaningless. Instead of setting the speed limit based on the road condition and terrain, the speeds are set by the type of road - motorway (M), national (N), regional (R) and local (L). For example, all N roads are 100 kph. We were on N roads that were narrow and twisty country roads, and couldn't be driven at more than 60 kph, but the posted speed was still 100 kph. One thing that surprised me was the weather. Throughout July, the UK had been steeped in hot, dry weather. I was assuming that we would get some of that in Ireland. Not so. Although we did have some wonderful sunny periods, the bulk of the time was about 18 or 19 degrees, overcast with some rain and wind. I'm glad I brought along long pants and a sweatshirt. However, the good news was that this was typical weather, so the weather gods had not conspired against us. I was able to get my sun fix on the following Spanish cruise.